art / artist / Local Love / sacramento / Words. Lin Fei Fei. Photo courtesy of the artist. 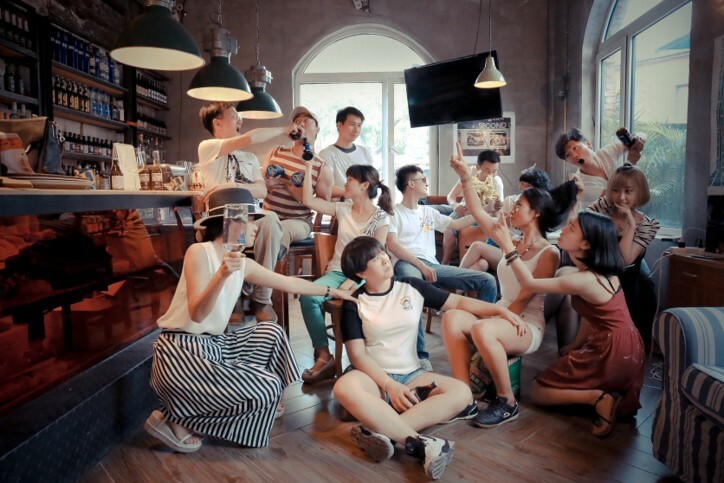 After spending a month and a half residency in Italy, the Chinese artist returned to Shenyang to develop her own studio, called Fly-ArtSpace. “The concept was to create an art studio and class that could cater to all levels of artist and art enthusiasts. I worked tirelessly and with the help of my friends, I built the studio from nothing. My first class began with five people in a coffee shop and eventually we had thousands of people coming week after week.” Lin would teach art practice and appreciation while they all drank coffee and had fun. Fly-Artspace members. Photo courtesy of Lin Fei Fei. Inspired by the autobiography of Peggy Guggenheim to try to help her fellow artists, Lin began to put the gears in motion for what would become the East Meets West Exhibit. Having shown her work many times at the Jolie Gallery in Shenyang, Lin called upon the executive curator, Ye Qing with whom she was friendly. 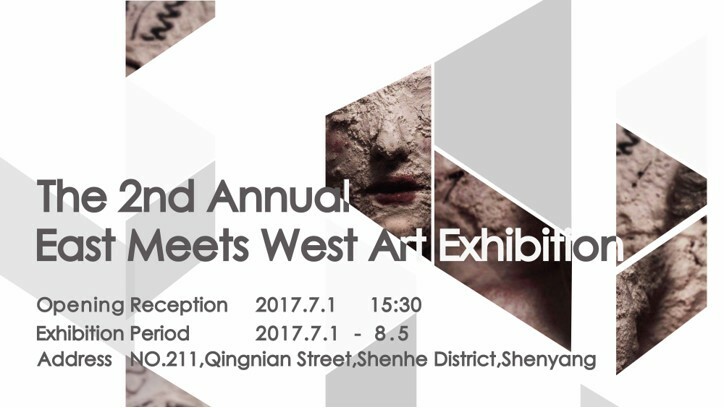 Lin told her about her idea and they decided to make it both an exhibition and annual event. The show will begin with Sacramento artists with plans to expand to other cities in the future. “Ye Qing and I have worked so hard on this exhibition and we’re so excited to host this event together as we support artists worldwide,” says Lin. 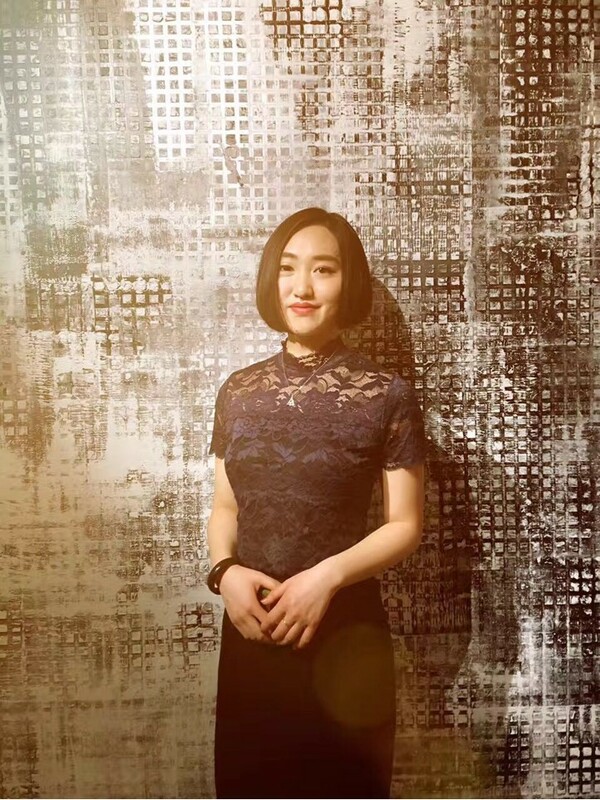 Executive curator of Jolie Gallery, Ye Qing. Photo courtesy of Lin Fei Fei. 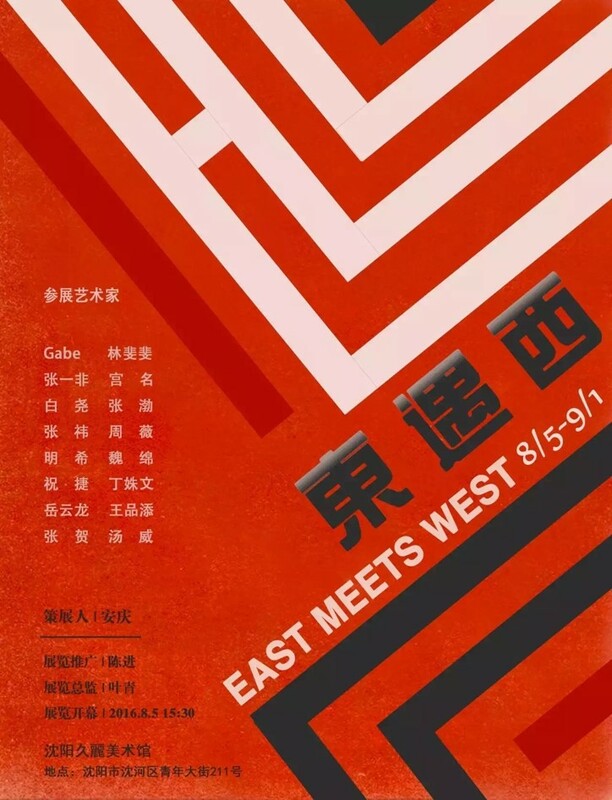 Last year’s East Meets West invitation. Courtesy of Lin Fei Fei. The exhibit will feature artists Lin met through her contacts in Sacramento and social media. “Just like the story of how Sacramento became a large town because of the Gold Rush, … I feel like I have come here and mined some of the best gold from these artists that we can show in China to help them spread the word about their art while also bringing two cultures of artists and art appreciators together.” The pieces are from all different mediums in order to create as diverse a show as possible. Nearly twenty Sacramento artists including Andy Cunningham, Franceska Julianna, Gabriel Sanford, Jeff Musser, Jesse Vasquez, Jessica Wabbit Burke, and Shaun Burner will be sending their work with Lin to China. In addition to the East Meets West Exhibit, which opens July 1st in Shenyang, Lin has three more shows this summer: two in Sacramento and a third in China. The first Window Seat, a group show, is already running at Urban Hive (1931 H St.) and will be there until June 26th. The second 62 Hues, also a group show, opens on June 2nd from 6 to 10 pm. at the 1810 Gallery (1810 12th St.). Once in China she will have an additional show at Today Art Museum in Beijing starting June 4th. Learn more about the East Meets West Exhibit here. Learn more about Lin Fei Fei here. Photos courtesy of Lin Fei Fei. Tags: 1810 gallery, Art, Artist, China, East Meets West, Fly-ArtSpace, Gabriel Sanford, Jolie Gallery, K. Hules, Katta Hules, Lin Fei Fei, LuXun Academy of Fine Arts, Norway, Oslo, Peggy Guggenheim, Sacramento, Shenyang, The Urban Hive, Today Art Museum, tube magazine, Ye Qing. Bookmark the permalink.